Division Chief Randy Kraus has been with the Fort Myers Beach Fire Department since August of 2004, and serves as the Division Chief of Emergency Medical Services. Chief Kraus moved from Brooklyn, New York with his wife and daughter in 2003, and worked for Lee County EMS as a Paramedic. It was shortly after arriving in Florida, he and his wife were blessed with their second daughter, and now reside in Cape Coral. Chief Kraus started in Emergency Services as a volunteer in Brooklyn, where he was a dispatcher and Emergency Medical Technician. Soon after, he started working for the private transport services in New York City; he was assigned to the All Children’s Hospital at Mount Sanai Hospital transporting sick and injured infants and pediatrics throughout the surrounding states. In the early 1990’s, Chief Kraus started working part time at Victory Memorial Hospital in New York’s 911 system, and shortly after began to work full time at Cabrini Medical Center in Manhattan’s Lower East Side. In 1998, he attended St Anthony’s Catholic Medical Centers’ Paramedic Program in Queens, New York. During his career as a N.Y.C Paramedic, Chief Kraus had the privilege of also working at Lenox Hill Hospital and Beth Israel Hospital. Division Chief Kraus has risen through the ranks at Fort Myers Beach Fire Department as a Firefighter, Engineer, and Lieutenant. 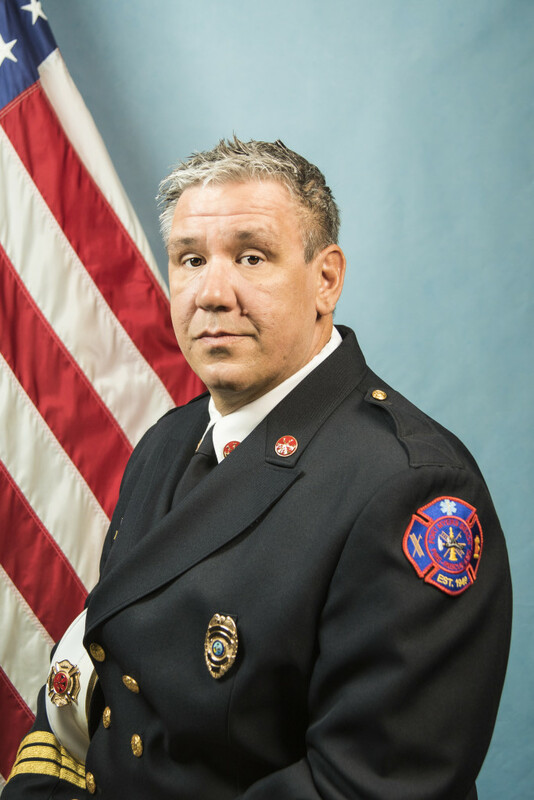 Chief Kraus attended Edison State College and earned his Bachelor of Applied Science in Public Administration, and has an Associate’s Degree in Fire Science. Chief Kraus also serves as part of the American Heart Association Faculty. In 2010, Chief Kraus was recognized as Fort Myers Beach Fire Department’s Officer of the Year.